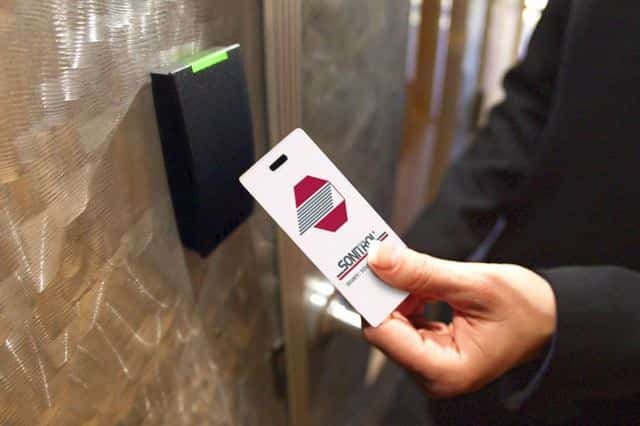 Access control systems make use of different modern methods on how to allow the entry of people in a building, office, home, and even car because they do not use the traditional locks and keys. These range from the most basic to the most complex data input devices – fingerprint reader, barcode reader, keypad, card reader, and others. Access control system with card reader opens a locked door that is complete with components, such as an electric locking device, power supply, and egress control. It lets individuals who carry the card with encrypted data get through access control points. Types of card readers are barcode readers, proximity card readers, and magnetic stripe readers. For this, security technologies never fail to amaze homeowners and businesses as they always introduce new and sophisticated solutions on how to secure properties that it has become a necessity to many to integrate these modern security technologies to make improvements on their level of security. Access has become easier – without the use of keys and sometimes even without physically holding the door – but restricted. Without proper authentication, nobody can gain entry. For this, incidences of robberies and burglary have been reduced if not avoided in homes and offices that have been installed with state-of-the-art security solutions. San Diego Locksmith is an expert in this service. We have been providing installation of locks and other security systems, including access control, in San Diego CA. We have a team of certified and professional technicians who have been performing these services to residents and business owners for several years now. Speak with us at (866) 306-8557. 7 Day Locksmith has been in operation for several years already. We serve residences and businesses in San Diego CA. We offer locksmith services – lock installation, repair, and replacement, and security system upgrade. We also attend to your other locksmith requirements, such as home, office, and car lockouts. We operate 24 hours to meet the needs of home, business, and car owners for emergency locksmith services. We are a team of certified and expert locksmith. We provide high quality locksmith services to ensure the safety and the protection of privacy of our clients. We are friendly and trustworthy that you will feel relaxed and safe having us around. You can ask us with any question that requires clarification. We have been in the industry for long that we are well-equipped with knowledge and skills related to our job. We keep ourselves updated with the latest security systems available in the market. We regularly attend seminars and trainings to make ourselves updated with the new information and home and business security products and systems available in the industry. We provide you with service quote as proof that we offer fair pricing to our clients. We make no hidden charges and we do not leave our work until you have completely checked it and you have expressed your satisfaction with it. 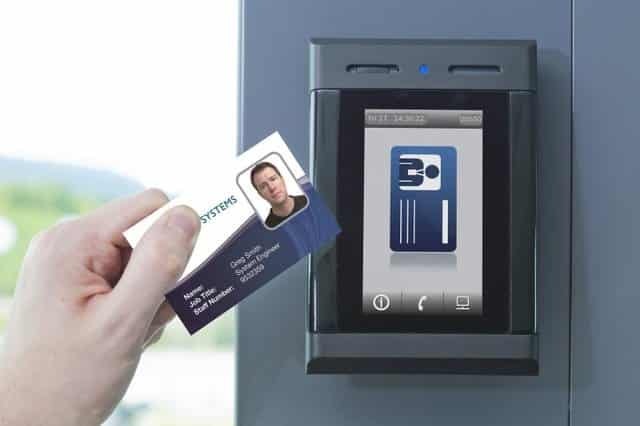 We can introduce to you the access control system with card reader San Diego so you will know its benefits. You can also choose from the different types of card readers available for organizations and residences as we have them stocked in our warehouse. Call us now at (866) 306-8557. 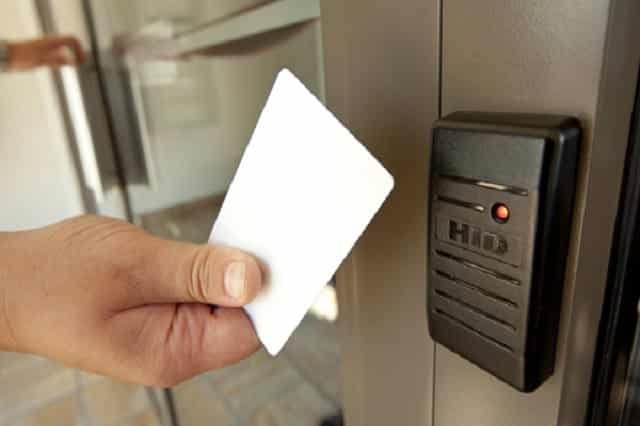 Proximity card reader – The card used in proximity card reader is not required to be inserted or touched by the reader – unlike the magnetic stripe card thus the proximity card is also called the contactless card. Even if it is inside your wallet or pocket, the proximity card reader can read it thus you can gain entry fast. Magnetic stripe card reader – This type of card reader interprets the data encrypted in the magnetic card soon as it is swiped. It then sends the data to the access control unit for comparison. The moment it finds that the number or code is in the access control list, it then grants access to the holder. You may ask yourself: Why do I need to invest on access control systems when I have high security door locks? Why do I have to bother about these modern security systems when I have security personnel posted in every entry point of the building? Stop all these questionings. Here are two primary reasons to change your mind. Safety is everyone’s topmost concern, especially if the home or business owner has already made huge investments. You have invested so much time and money building your home or office and you do not want to give away all the fruits of your hard work to thieves, right? So it is best to secure your place. Traditional locks and keys offer protection against them, but these are not enough. If you have invested a lot to establish your business and build your home, there’s no reason for you not to increase the level of protection you will provide for your families, workers, and properties. This is the most important reason you should upgrade to access control system and forget about using conventional door locks and keys. Keys are lost, broken, stolen, and others thus you are always at risk of burglary. Traditional door locks can easily be broken when given continuous blows by thieves so you are not sure of your safety either. Integrating security technology to your home and business offers assurance that you are safe and secure.